Termite Control - Champion Pest Management, Inc.Champion Pest Management, Inc. 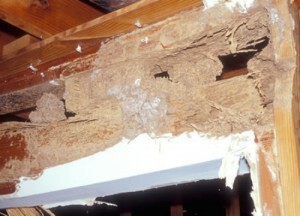 In fact, it’s estimated that termites cause several billion dollars of damage a year in to buildings in the United States alone, making them the single most destructive non-agricultural pest. To minimize the risk of termite damage, a liquid barrier soil treatment is applied around the foundation and some of the structural components of your home. Before any work is performed, we conduct a detailed inspection and give you a written estimate for the work. And most importantly, once the barrier has been applied, you should get annual inspections to ensure your most valuable asset is protected. Termidor and Premise are the safer effective alternatives and do NOT have an obnoxious odor or emit airborne residues or fumes. Both are registered as a low hazard insecticide. Both are water based, have virtually no smell and of ultra-low hazard to humans, dogs, cats and other mammals.